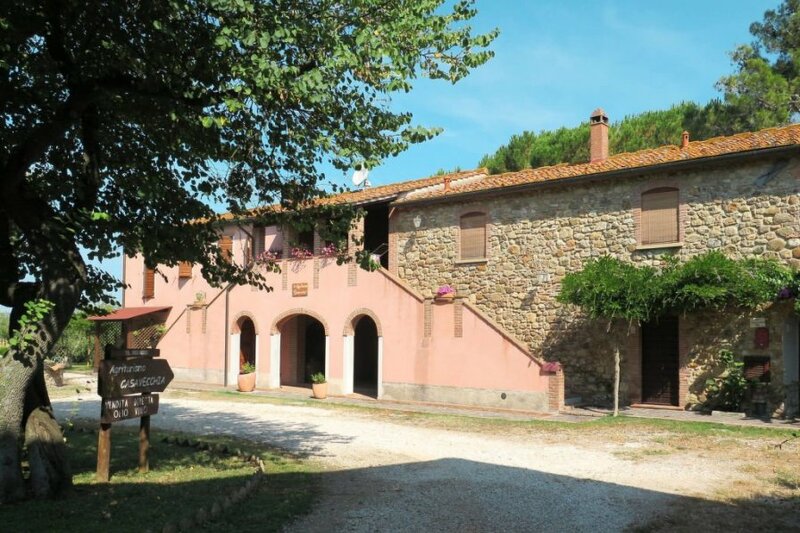 This 1 bedroom villa with swimming pool is located in Suvereto and sleeps 3 people. It has WiFi, air conditioning and barbeque facilities. Apartment, 2 - 3 people, 1 room/s, 1 bathroom/s, approximately 34 m², 1 floor/s, apartment on ground floor, separate access to the property. Equipment: TV; internet access Wi-Fi in the outdoor area (included); combined heating/air conditioning. Electricity if applicable also for air-conditioning according to consumption approximately € 0.40/​kWh. Holiday resort tax. Linen/towels available. Change of bed linen/​towels every 7 days included. Deposit € 150 (in cash). Cot € 25 per stay (on order). Pet not allowed.